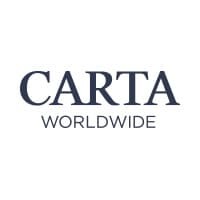 PARTNER NEWS: Transaction technology provider Carta Worldwide has introduced an appliance-based turnkey solution that aims to dramatically reduce the time it takes for large banks, processors and domestic networks to bring tokenized HCE mobile payment services to market. The Token Processing Appliance (TPA) removes many of the issues banks have faced in adapting their existing systems in order to bring tokenization and cloud-based payments to market, Carta’s VP of strategic alliances told NFC World. “Banks are really having a hard time adapting their systems to all of these new standards and tokenization specifically,” Giles Sutherland said. “What the TPA does is simplify that and it puts together all of the required components that will be needed to deliver this type of solution, including the hardware, software, security modules and the testing certification pieces, all into a single package. “It’s a turnkey solution so that the bank, or the processing platform themselves, can plug it in. While token services offered on behalf of the banks offer ease of setup, banks have shown a strong desire to keep things on-site and in their own premises. “TPA brings the best of both worlds — it brings the scalability and ease that we’re seeing from the big scheme TSPs like MDES (MasterCard Digital Enablement Service) and Visa Token Service but with more of the custom control and internal management options of a custom software development. This is a really powerful combination.